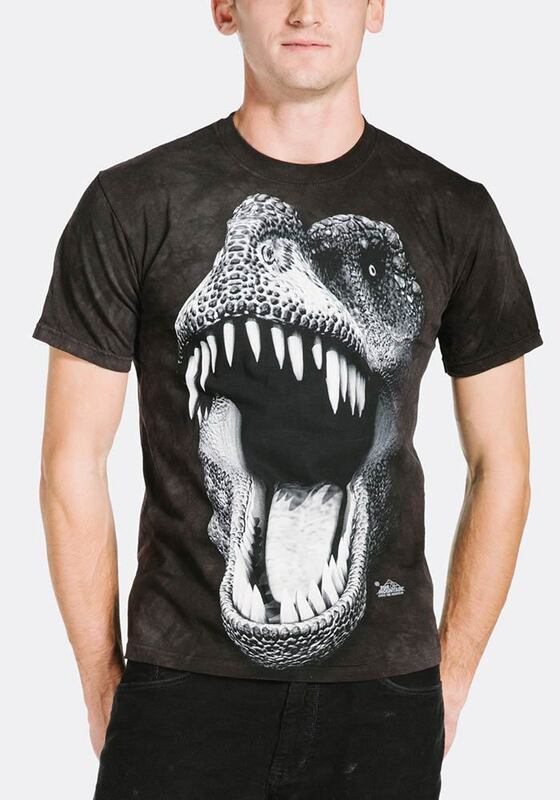 This is no ordinary dinosaur t-shirt! This children's Big Face™ tee from The Mountain® actually glows in the dark! The pre-historic image features the T-Rex head with his mouth wide open and teeth exposed. If that wasn't scary enough you can see this dino in the dark.